A main reason to invest in strategic sourcing is to match demand with supply. The impact of using the best available resources and space is heightened when there's only a limited amount of each to go around. 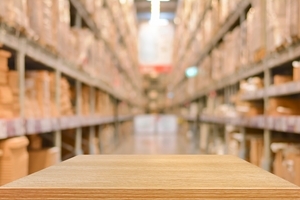 A case in point is the availability of warehouse space for companies. Despite some challenges finding enough room to support businesses, there seems to be a slow but noticeable shift toward more supply. The lack of space last year was one of the defining features of the 2016 logistics industry. The Wall Street Journal recently quoted Prologis Inc. CEO Hamid Moghadam on the changes affecting both rents and new buildings. "New construction has been relatively disciplined, so the market is much stronger," Moghadam said. "Now we are getting into the more mature part of the cycle. It's more of a balanced market, with modest rental growth." Later on, the same article quoted Moghadam's predictions that vacancy rates likely won't change. Businesses may need to use this data for future decisions soon as they plot their own plans for new facilities. Last year indeed saw a large amount of warehouse rentals, as new research from Cushman & Wakefield seemed to suggest. The Dallas Morning News cited information from the source showing 5.3 million square feet of warehouse space leased in the Dallas-Fort Worth area alone, placing it at the top of the markets in the country showing this demand. C&W also recently announced a predicted growth for outsourcing within business up to the end in 2019. This concerns what it calls "the outsourcing sector," which can develop both the existing strengths of countries that serve as outsourcing mainstays (like India, Brazil and Romania) and new technological advances. The latter point includes Robotic Process Automation, which coordinates AI and the use of robotics to create seamless efficiency. The company identified some promising "pioneering" regions for outsourcing, such as Peru, South Africa and Costa Rica. By comparison, Los Angeles had the least available vacancy. Even the major outsourcing leaders for different industries may have to change to adapt. To counter the problems of short warehouse space, some companies may use one of the same strategies that consumers use when they need more space: sharing. In fact, the "Uberization" of freight has been a hot topic for months now, and could add to the call for business process outsourcing. Not only has Uber itself embraced this with its Uber Freight service, Inverse said, Amazon is also expanding into this space for its own purposes. The source did mention that, even though there are similarities between the two companies, there is also a gap in the way they conduct business, since they have different goals. Amazon, as essentially a retail company, may relate to the reality of sharing shipping facilities in its own way, given that Uber has a competitive ride sharing infrastructure to build off of. Working with new partners and providers also means supplier relationship management concerns. With strategic preparations, businesses have the background to approach space more effectively.